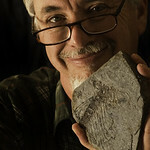 I am an archaeologist but I have been doing photography for about 50+ years. Started with an old Kodak Signet 35 but now shoot Nikon. For the last ten years I have been working with models and have been enjoying that a lot but I have also done a lot of travel, still-life, and archaeology as well as some macro and other stuff. I recently moved from Okinawa, Japan to Tucson Arizona and hope to begin adding some great images from that part of the world now. The site is a work in progress so will have new stuff added as I get to it.